Here is my latest attempt at homemade energy bars. I don’t like the ‘store-bought’ varieties, and the “Go Raw” bars I do buy are pretty expensive, so I made my own version, and they turned out great! Well, here is another attempt at some good homemade energy bars. I don’t generally like the ‘store-bought’ varieties–so many of them have too much sugar (in the form of rice syrup, extra fruit, corn syrup, etc. ), soy protein, artificial ingredients, etc. The bars I do like best–are pretty darn expensive, so I decided to make my own version of these. These are full of nuts, a little bit of fruit for sweetness, a touch of salt and not baked, but dehydrated at a low oven temp overnight. This preserves the natural enzymes in the ingredients, plus helps the bars hold together with just the right amount of chewiness. And they are gluten free, dairy free, corn free, soy free and Paleo as well. This particular rendition actually tasted a lot like Clif bars–without the grain or other additives. If you’d like them to have some extra sweetness, I’d suggest adding those miniature chocolate chips, or whole raisins–after you are done blending them. Give these a try, these bars are excellent fuel for a longer bike ride, run, hike, or busy day. These ingredients are all approximate. I just added ingredients to get the right consistency. In a food processor, add pumpkin seeds, nuts, raisins, and dates and mix. Add peanut butter, and other ingredients and mix until well blended. Add a small amount of water if mixture is crumbly. Mixture should end up like thick cookie dough. If you’d like chocolate chips or whole raisins, stir in after everything is mixed up. Preheat oven to 175 degrees. Grease a cookie sheet lightly with butter, and drop cookie-sized spoonfuls on sheet. Smash down till about a half inch or less thick. Cook in oven overnight–about 8 hours. Bars should be solid when done. Cool. Enjoy!! I will keep working on these to come up with different varieties and flavors. Let me know what you think! Till next time, Stay Healthy and Lean! For more easy to fix, gluten free, dairy free, superfood recipes, click here to subscribe to my Simple Smart Newsletter. Cat herine (Cat) Ebeling RN BSN, is a back to basics diet and nutrition specialist. In addition to her advanced degree in nursing from a major medical school, she has spent the last 30 years intensely studying diet, health and nutrition. 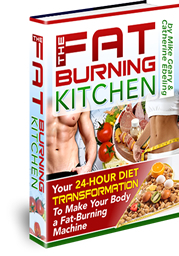 She also has a book titled “The Fat Burning Kitchen, Your 24 Hour Diet Transformation” that has sold 100,000 copies worldwide, and has helped thousands of people transform their lives, lose weight and improve their health. very convincing and can definitely work. Nonetheless, the posts are very short for newbies. 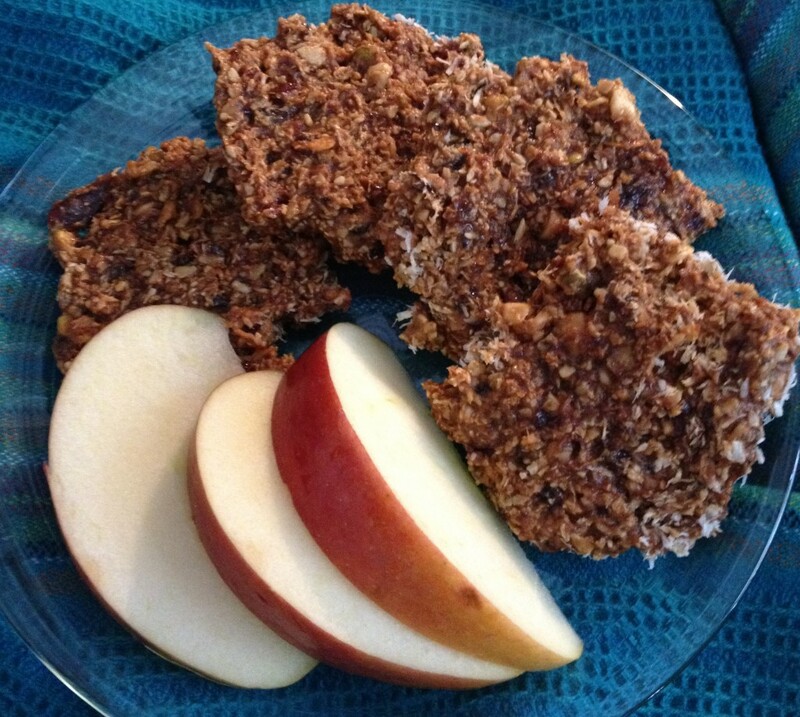 Thanks for finally writing about >homemade energy bars <Liked it!